Renault has elected to pull the digital wraps off its next-gen Dacia Duster Oroch Pickup Truck ahead of its official debut next year. 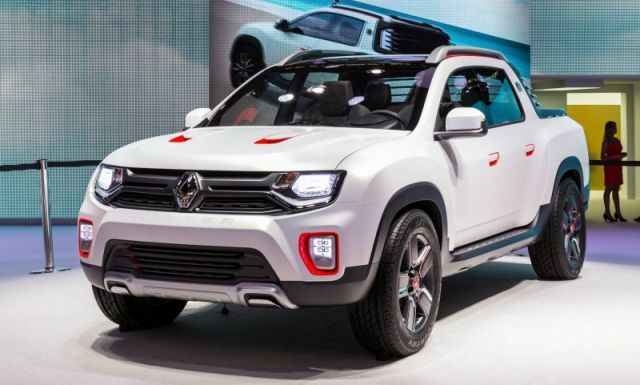 The French automaker showcased its first-ever medium-sized pickup version last week at the Buenos Aires International Motor Show in Argentina. 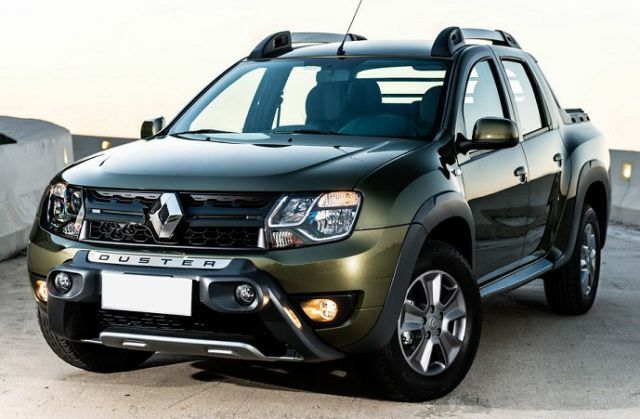 The brand stated that the new Duster Oroch is exclusive to the South American market and premieres in the first half of next year. In reference to the brand’s highly prominent compact SUV Duster, the new Dacia Duster Oroch Pickup Truck occupies a slot between half-ton pickups and one-ton trucks. It boasts a 4-door design with five seats. Also, the incoming Oroch pickup truck will combine a double cab with space that reflects the bigger models. The Duster compact SUV inspires the Oroch design, and the two vehicles look relatively identical to each other. However, the latter packs some sportier bumpers, a single-slat front grille, and resembles a pickup from the C-pillar to the end. Besides, its B-Pillar and side profile appear to mirror what we have seen on the Duster. Renault claims that the Dacia Duster Oroch Pickup Truck will offer impeccable accessibility. The reason behind this claim is that it has four doors, a generous bed, and a reliable internal space that can house five proper seats. This Renault Dacia Duster Oroch is not only robust but also reliable. The second part of Oroch’s C-pillar all the way to the rear end is what sets it apart from the standard compact Duster to an extent. This region adheres to the double-cab body style, so it lures private buyers. A Duster double-cab is genuinely magnificent. The Oroch’s cabin is Duster’s dead giveaway as nearly everything is identical to the Duster. Like its Duster sibling, it highlights the all-black interiors with silver accents. We also find a three-spoke steering wheel with some control buttons, as well as a 7-inch Media NAV Evolution infotainment display with navigation. The French carmaker took note of the fact that there is a resilient demand for a no-frills pickup truck in Latin America. As a result of this, Renault strived to build on the success of its previous sports utility vehicle known as Duster. The brand has borrowed a lot of cues from the low-cost Dacia Duster SUV to create its brand-new Oroch pickup truck model. It primarily aims at the South American markets where over one million pickup trucks of the same caliber are sold annually. 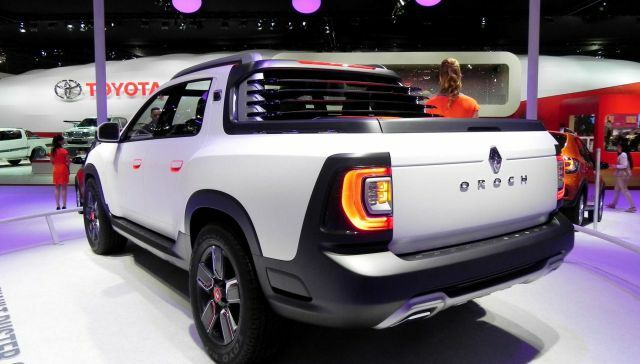 Renault tossed a preview of its Dacia Duster Oroch Pickup Truck in a concept form last year in Brazil. This revelation gave us an accurate idea of how the Oroch would look like at production. Although the production model sheds a couple of elements—colors, fancier trimmings and lights—it is nearly identical to the concept launched in Brazil. Renault’s head of Global Light Commercial Vehicles, Ashwani Gupta, said the following during a recent press conference:” Our new Oroch pickup model represents the next milestone in our globalization strategy. We’re launching our brand’s offensive pickup segment with Renault Duster Oroch pickup truck”. The Dacia Duster Oroch Pickup Truck offers two engine choices—a 1.6-liter or 2.0-liter inline-4 gasoline engines. These motors receive either a five-speed or six-speed manual transmission. A recent report also claimed the likelihood of a four-speed automatic gearbox on the 2.0-liter engine. The French car manufacturer is yet to announce the prices, but this model will grace the Russian and South American dealerships early next year. It will rival other vehicles like the Fiat Strada and Volkswagen Saveiro. We, however, regret bringing the sad news to the UK buyers. The Dacia Duster Oroch Pickup Truck is unlikely to grace these shores despite its indisputable splendor. Renault itself has said that sales will be limited to Russia and South America.